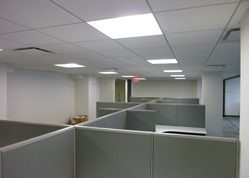 This is a spacious office sublet stands situated in the Financial Distirct near Wallstreet. It has an open layout, high ceilings, polished concrete floors and great natural light. 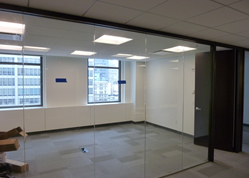 The office stands on the 18th floor which offers spectacular water views of the Hudson as you can see from the photos of the space. 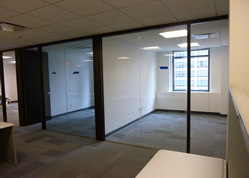 This commercial sublet is flooded with natural light which peaks in from large standing windows that perimeter two walls of the office, helping to a provide a productive bright environment. 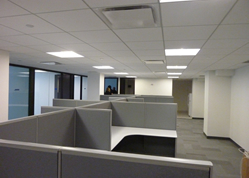 The following available space can be combined totaling 4,000 SF. of workspace. This commercial sublet is move-in ready, but the existing tenant is willing to negotiate customization if needed to fit your exact specifications. The price has just been reduced on this space, so please call for the most up to date pricing; any type of tenant/use considered.